Poet | Trevor Boffone, Ph.D. 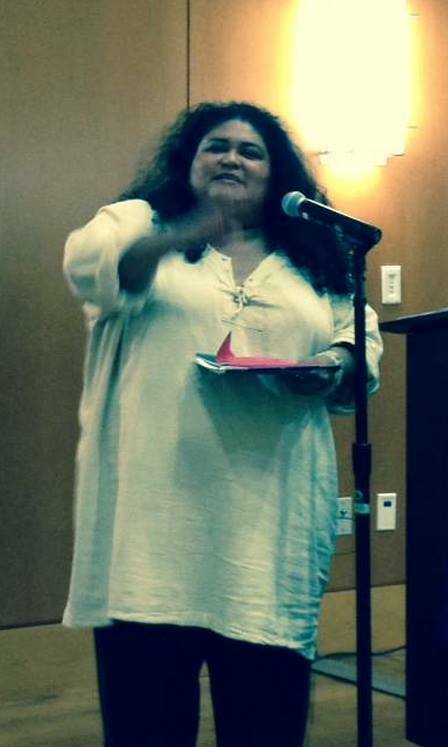 I first met Tejana writer ire’ne lara silva in 2013 at the El Mundo Zurdo conference of the Society for the Study of Gloria Anzaldúa in San Antonio. She was selling copies of her award-winning short story collection flesh to bone. I bought a copy and never looked back. In the three years since, ire’ne has become a trusted friend and has continued to wow me (and everyone else) with her words. ire’ne is the author of two chapbooks: ani’mal and INDíGENA. Her first poetry collection, furia (Mouthfeel, 2010), received an Honorable Mention for the 2011 International Latino Book Award in Poetry. Flesh to bone (Aunt Lute, 2013) received the 2013 Premio Aztlán, placed 2nd for the 2014 NACCS Tejas Foco Fiction Book Award, and was a finalist for ForeWard Review’s Book of the Year Award in Multicultural Fiction. Check out her website to read about all of her accomplishments! Recently, I sat down with ire’ne to talk about Blood Sugar Canto, Tejas, and her other cultural work. Why Blood Sugar Canto? Why Now? I’ve always followed Toni Morrison’s mandate. To write what I needed to read and could not find. I looked everywhere for poetry that could speak to my experiences integrating diabetes into my life. All I remember finding were a few scattered poems from Sherman Alexie. And so, I sat myself down to write. I’ve always turned to writing for what I’ve needed to discover, what I’ve needed to survive, what I’ve needed to learn. I was drowning in fear from all sides—from Western medicine, from family experience, from my own experience as my body underwent changes. At first, Blood Sugar Canto (BSC) was simply going to document my experiences in as many ways as possible. But as time went on, what struck me was that there was no treating the body without treating the heart, no healing the body without healing the spirit, no healing without calling up strength and hope and beauty and self-worth. And so that was what the book became, a wide-ranging map of all the places I went and the roads I found to finding peace and empowerment and love for my body, my stubborn body set on surviving and growing stronger. With Blood Sugar Canto, you enter the world of memoir/autobiography. How do you negotiate the boundaries between autobiography, fiction, and creative license? Easily, I don’t. Poetry, for me, is always about the truth. Truth as true as I can tell it. The past as best as I can remember it. What I feel and what I felt as raw as I can possibly tell it. I write to discover truths I don’t even know I know. I don’t take on personas or other people’s points of view in my poetry. I don’t imagine other people’s experiences or thoughts. Sometimes I don’t think my poetry is very poetic. Because what I have to say is always more important than how I say it. I will rip out a beautiful line because an ugly awkward one tells the truth more honestly. In poetry, and especially with this book, I’m not telling any stories I haven’t lived—discussing illness and healing from every vantage point I could think of—as a woman, a writer, a daughter, a sister, as a patient, a healer, a worker, a poor person, as Indigena, Mexican-American, Texan, and as a member of many communities. The only way to exorcise the demons I needed to do away with (fear, shame, lack of self-worth) was to sit with these poems that way—no negotiating, no hiding—I had to tell myself the truth. How has your relationship with diabetes changed since you began this work, since “april 23, 2008”? I just passed the 8-year mark since April, 23, 2008, the day I was officially diagnosed as diabetic and put on insulin. I started work on BSC in early 2011. There was no way for me to write about it earlier because I just wasn’t ready. The first year was mostly shock, fear, and adjusting to a ton of physical changes and life changes. I also left my 10-year job with the State and my 4-year job with a literary non-profit, changed apartments 3 times, and found two new jobs. 2008 was a wallop of a year. The next two years I worked on stabilizing my life and getting my first book of poetry published. By then, I had a wealth of reflections and reactions to life with diabetes—and not just my own health but also my family’s. And as I worked on the book, it seemed that I was able to perceive more about diabetes outside myself—how it was affecting my communities of color and poor and working class communities, how diet and colonization and oppression all combined to affect our personal and familial and communal access to information and healthcare. The more I wrote, the more BSC became about something bigger than myself. The healing/canto poems were all a surprise to me. I discovered beauty and connection and empathy and all the many ways healing brings us to the importance of love. 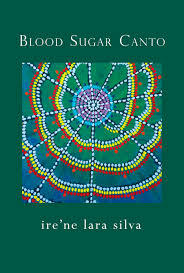 How has writing and publishing Blood Sugar Canto aided in the emotional healing process? Writing was difficult, but very necessary. I conquered my fear. I discovered truths I needed to hear—that I still need to hear. Every time I read from BSC, I relearn something essential. Publishing it has been a gift—not just to see the book realized but to be able to share it. Part of my desire to get this book out into as many hands as possible is because I meant this book to begin discussions…on healing, on illness, on the individual and the community, on love and the end of fear, on the piercing fragility and tremendous strength of our bodies. Readers and audience members have shared such touching and personal stories with me. They’ve asked me questions I don’t think they’ve ever felt able to share with anyone else. What a tremendous gift it is—I wrote because I felt alone. If I can ease any share of that aloneness away from others, then what I went through to write these poems is a price well paid. And that heals me. That makes me stronger. It makes me more able to live my life and strengthen my hope that illness is not all we are. Does Tejas, specifically Austin, influence your writing? Tejas is everything. Austin, I’m not sure. In some ways, Austin is too new to me to be directly involved in my writing. I’ve lived here 18 years, but my ancestors didn’t come from here and I have no childhood memories of this place. As a writer though, Austin’s been good to me—I’ve been a member of many writing communities, organized a ton of events here, and have had the space/freedom to explore the kinds of writing I’ve wanted to do. As for Tejas—it’s in everything I write. In some ways, it’s all I write about. The borderlands I carry within me no matter where I am. The land I’m from—the land my ancestors are from. The roads that I grew upon. My parents were fieldworkers and migrant truck drivers. Every year, we drove and lived and worked in South Texas, in the Corpus Christi area, in the Panhandle and back again. I knew how to draw Texas and how to read a map of Texas before I ever read a book. I’ve lived all but 3 years of my life here. While I’ve been tempted to live in D.C., Chicago, and Albuquerque, I know nothing would ever feel like home the way Texas does. The history, the cultures, the landscapes of Texas inspire me and come up, again and again, in my work. A second collection of short stories, tentatively titled, “Songs from the Burning Woman.” I am still discovering what they’re about. They seem to be working on issues like grief and sexuality, art and the body, history and healing the wounds of the conquest. They keep shapeshifting on me, so from one day to the next, I don’t know what new themes and connections are going to appear. But it’s exciting to work on new stories. Fiction is a fascinating way of re-organizing the world, of affirming or ignoring the world’s “rules.” I’m always curious about the idea of ‘liminality’ in art, in time, in relationships between people. After that collection, I’ll be diving into the novel I’ve been wanting to write for the last ten years. Other projects are going to take the back burner for a little while. I’m feeling an overwhelming desire right now to concentrate on the writing. I’m not an academic. I don’t have an MFA. I work two jobs and am a caregiver. I don’t have lots of time or resources or energy for that matter. I can’t travel at will or go to residencies. I don’t have a dedicated writing space. I never spent months in Europe or time travelling in Mexico. I’m not beautiful or glamorous or young. I can’t afford to take time off from work, nor can I afford a job that doesn’t provide healthcare. I live with a chronic illness. But none of that keeps me from writing. None of those things make me any less of a writer. To be honest, juggling all of that with writing is not easy. Sometimes it’s painfully slow. I wish all the time that I could give more of my day, my concentration, my energy to my writing. I give what I can, and books get written. What I want to tell everyone is that it may be difficult, but it’s possible. Your life doesn’t have to look any specific way. You don’t have to look a certain way. What’s important is your desire to create and your drive to put words on the page and then to get them out to the world. ire’ne lara silva is the author of furia (poetry, Mouthfeel Press, 2010) which received an Honorable Mention for the 2011 International Latino Book Award and flesh to bone (short stories, Aunt Lute Books, 2013) which won the 2013 Premio Aztlan, placed 2nd for the 2014 NACCS Tejas Foco Award for Fiction, and was a finalist for Foreward Review’s Book of the Year Award in Multicultural Fiction. 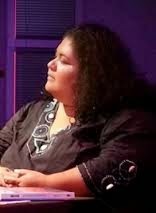 Her most recent collection of poetry, blood sugar canto, was published by Saddle Road Press in January 2016.
ire’ne is the recipient of the 2014 Alfredo Cisneros del Moral Award, the Fiction Finalist for AROHO’s 2013 Gift of Freedom Award, and the 2008 recipient of the Gloria Anzaldua Milagro Award, as well as a Macondo Workshop member and CantoMundo Inaugural Fellow. She and Moises S. L. Lara are currently co-coordinators for the Flor De Nopal Literary Festival. This entry was posted in Uncategorized and tagged Artist Profile, Authors, Blood Sugar Canto, flesh to bone, Flor de Nopal, furia, Interview, ire'ne lara silva, Latin@ Lit, Poet, Poetry, Tejas, Texas, Writing on May 24, 2016 by trevorboffone.